Guys I’m reaching out to anyone because I have totally destroyed my life because I am a narcissist. I have had 2 failed engagements I have no friends and very little family. I cannot build any meaningful relationships or friendships because all I do is lie. I have lied and cheated my way through life and I have literally lost my soul mate. The woman who completed me. I’m reaching for help because I cannot trust myself in any way shape or form. The voice in my head is constantly telling me it’s all going to be ok and it’s ruining me. It’s ruining everything. I’m going to be alone on my 30th birthday and I have no one. It’s all my.fault and I have 2 options, either get help and realize I can’t do this alone, or I kill myself because I don’t want to hurt anyone, especially her, anymore. I’m trying as much as I can to be honest but even then, am I manipulating myself? Lying so much. I believe my own lies? Please, someone, anyone……help. WHO IS A TARGET FOR A NARCISSIST? Jeremiah 13:23 “Can the Ethiopian change his skin, or the leopard his spots? then may ye also do good, that are accustomed to do evil.” Luke 18:27 “And He said, The things which are impossible with men are possible with God.” To truly change will take a contrite heart, one that recognizes he cannot do this alone, nor trust himself to do it. If you look up “liars brain” on the internet, the slow changes that have taken place in your brain (over the lies and manipulation) are going to need to be undone, changed back. IF you are for real, you are in for a long haul, (work) that is necessarily going to need G-d at the head of this work, for it is He that is the Creator, Mender, Redeemer of you. To exclude G-d in this work, is to fail…. The fact that you recognise your condition and want help is a massive step in the right direction for you. As a survivor and someone who managed to break free from my narcissist soulmate, part of me wishes he also could take this step as I still love him. Making the changes is what it would take for your soulmate to return. It would need to be a journey you both go on and not just you alone. I went through somewhat the same thing. Only to realize i lost so much after lying and lying over time. Time to make a change and you know you have to. How do you know that you are a narcissist? Have you been professionally diagnosed? 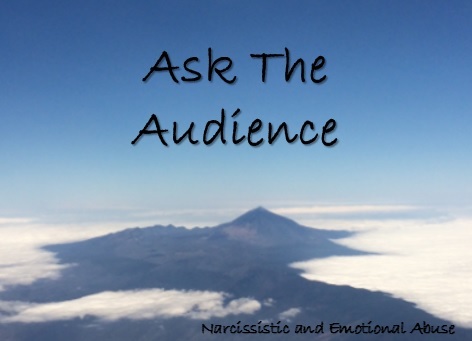 The reason I ask, is because many people are called narcissist, by their narcissistic mates. For example in a narcissist/codependent relationship, the codependent can be so emotionally abused that they believe whatever the narcissist blames them for. So, first you should seek a therapist. If you are in fact a narcissist, there is one who is clearly your superior, Jesus Christ. Instead of manipulating other people into serving you, serve Christ. With him as your purpose you may be able to keep your narcissistic tendencies in check. You need to get help. My narc would never admit he has a problem. If you are truly narcissistic , that is a huge step to realize it . But from what I have learned, most narcs have had an emotional turbulence from the early childhood. Please seek help and do not do anything to harm yourself . Here is the true horror : A liar is never trusted again. Never. Get appropriate therapy, be painfully honest in therapy, and start your life over. At 30 you have the time if you really have the desire, and really want to do the needed work on yourself. I don’t believe you. Not for a second. This is just to get attention. If you really want to change then CHANGE. Change is an action word. Intensive therapy minimum 8 times a week. For at least 1 year if not longer. Its easy to post words. Words are just words. Change is difficult but possible. It takes great courage, determination and consistency. Its an inside job. There won’t be an audience cheering you on, feeding your ego. Thats what leads me to believe that this is just a sad ploy to gain attention, and to once again, slip into the role of being the victim. Killing yourself is just plain stupid. Not to mention the easy way out. Oh, but for you Narcissistic individuals… per usual. Stop wasting peoples time looking for “advice” and looking for strangers to beg you not to end your life. Get off social media platforms and put in the work that’s required to change. If you truly are a narrcissist the biggest part is the lying. Quit it!! Promise yourself that you will be honest from now on, and the other thing, take responsibility for yourself. If you’ve done something wrong apologize and do your best to make it right. Those 2 things will probably change your life. Narcissists almost never realize they are the problem. Perhaps you are dealing with pathological lying, and not full blown personality disorder? Seek help from a professional therapist – and be picky. If you truly want to change your life, you need to find someone that understands what you are dealing with and YOU need to be willing to do a lot of very difficult work on yourself.